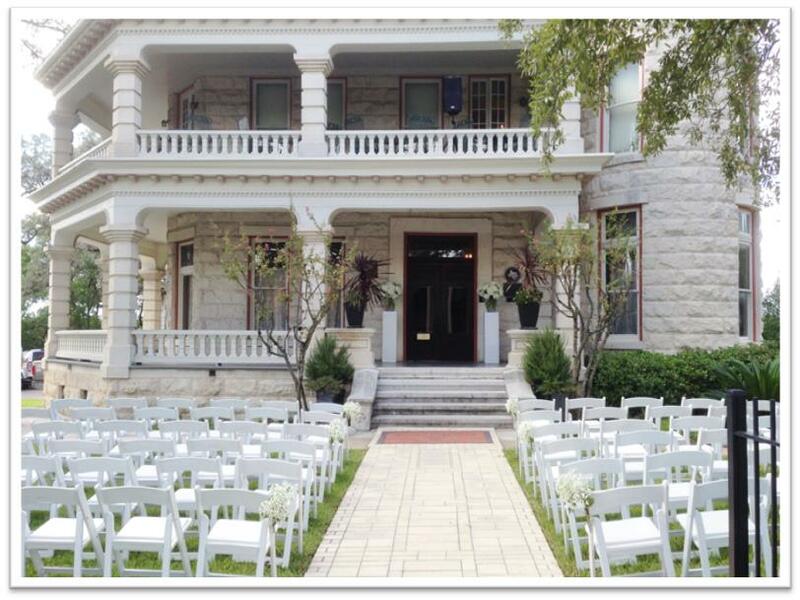 The classic elegance of the Daniel H. Caswell House makes it an excellent choice for your wedding celebration. 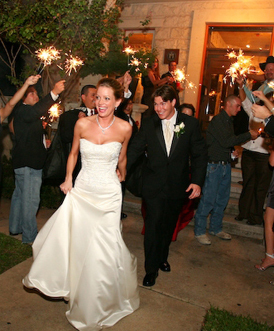 The house can accommodate 200 people for a stand-up reception, 100 for a ceremony, or 90 for a seated dinner party. The wrap-around porches on the first and second floors offer a peaceful gathering place for you and your guests, and the second floor boasts a lovely view of the state capitol dome. The front hall will extend a warm welcome on your behalf. It's the perfect place for greeting guests, signing the guest book, or offering a coat-check service. Guests can mingle in the parlor and dining rooms downstairs while the bride and groom prepare to make their appearance. These rooms can be personalized for your special day by displaying family photos and mementos on the shelves and other furnishings throughout the rooms. The library on the first floor provides a quiet retreat for the groom and other men in the wedding party to get dressed and relax. Upstairs, the study serves as the bride's room, where she and her attendants may change clothes and make other preparations related to the ceremony and reception. For her convenience, the bride's room has a private restroom. The main room on the second floor can serve as a wedding ceremony venue, a comfortable banquet hall, and an intimate dance floor. Hardwood floors, chandeliers, and three fireplaces make this expansive room seem warm and cozy. The Steinway piano adds a touch of class and an opportunity for live music as well. The Caswell House can provide tables, chairs, bars, public address system and a podium for a nominal rental fee. If you choose to use our furnishings, we will set up the room before your event and return the rented items to storage after your event has ended. With full kitchens on the first and second floors and an elevator between them, serving guests is easy throughout the house. You are free to choose your own caterer and other service providers. Please see our list of Preferred Caterers to choose a caterer that is right for you. If you use one of our preferred caterers, you'll receive an additional hour of rental free of charge. 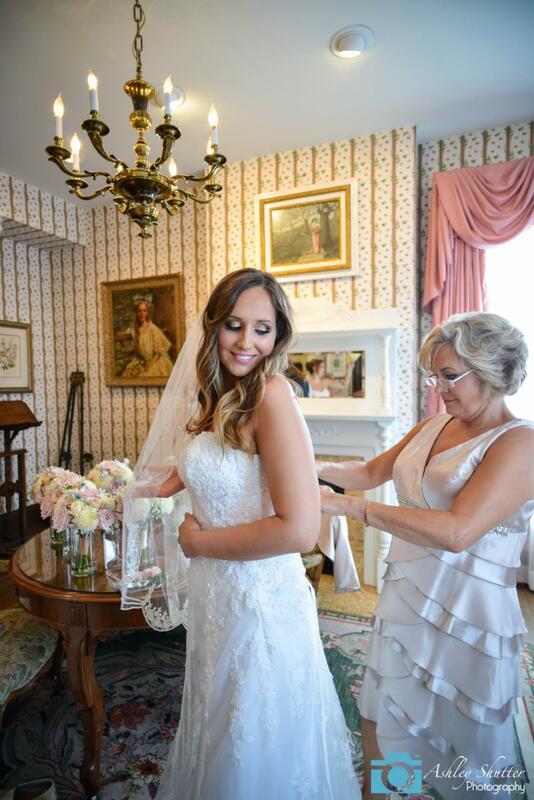 A beautiful bride deserves a beautiful setting for photographs, and the well-appointed rooms of the Caswell House offer many classic vignettes for portraiture. Because we know you'll want to remember your wedding forever, included with rental of the house for weddings, brides may use the house for bridal portraits free of charge during office hours. To preview the house, please visit us during regular office hours for an informal tour and speak to a member of the Austin Junior Forum. The house is also available for preview by appointment. To schedule an appointment, please contact us. Click here for Rates & Reservation Information.